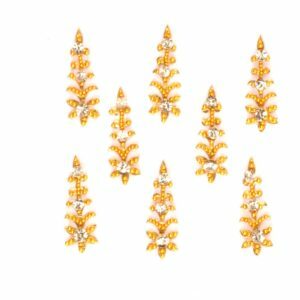 The collection of designer bindi jewelry is ornamental and decorative. 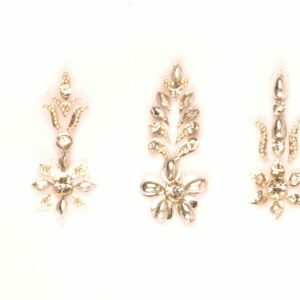 Each unique design is intricately handcrafted to perfection. 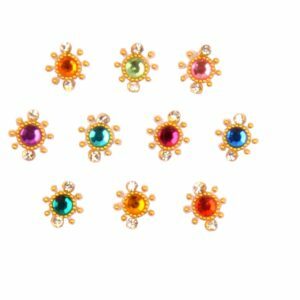 We make our exquisite collection of designer bindis using high quality material as per set quality standards and are skin-friendly. Our collection offers a plethora of designs in different colors, patterns and designs. 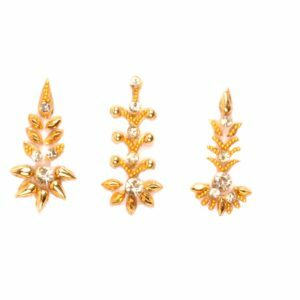 Accentuate your look with a piece from our collection and stand out from the crowd. 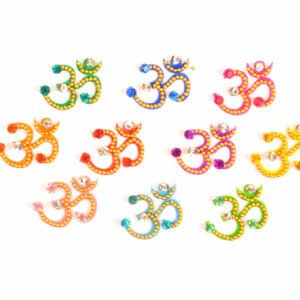 A bindi is a reusable self-adhesive body decoration. It is normally worn on the forehead. You can also wear a bindi on the corner of the eyes, uppers arm, around the collar bone, lower back or ankle. 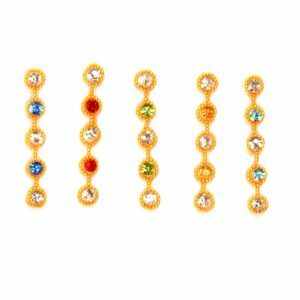 Wear just one bindi to add a touch of elegance to your look. 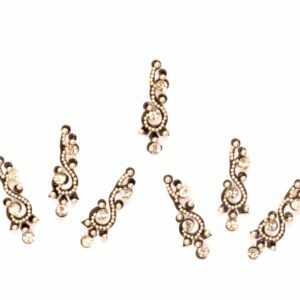 You can also mix them up and wear multiple bindis together to lend uniqueness to your outfit. 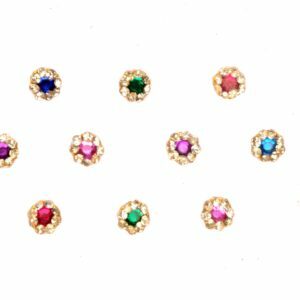 Gold Pretty Forehead Bindis with Crystals. 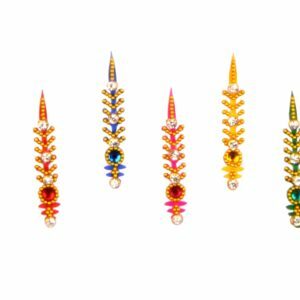 Quality Fancy Bindis Decorations from Fancybindi.com . 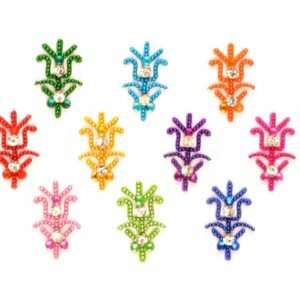 BindiTattoo Sticker, Self adhesive body decoration jewelry.